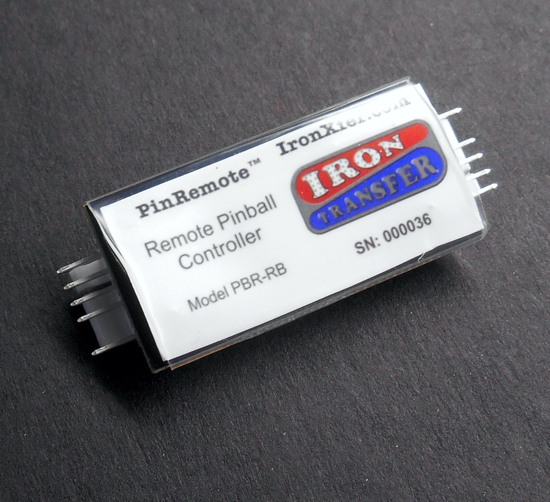 PinRemote™ is a unique device that allows to remotely control your modern pinball machine. Click HERE to see a comparison of what the different models offer. 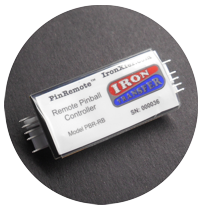 The PinRemote™ circuit communicates via a AES-secured Bluetooth radio link. It is not on the Internet and thus isn't hackable. Range varies wildly due to the amount of shilding the cabinet has but typically varies up to 20 feet. Theoretical [free air] range is 100 meters (330') but the pinball enclosure attenuates the signal. It allows you to press your service buttons remotely using your phone/tablet as if you were at the machine with the coin door open. The circuit board is inserted between the wire harness that currently connects to the switches and the switches. Power is supplied by intercepting 12V at the coin door lighting connectors. Click HERE to download PDF instructions. Click on these links to see the instruction sheet for each model. Use your service buttons without a coin door key! Press them using your cell phone or tablet.